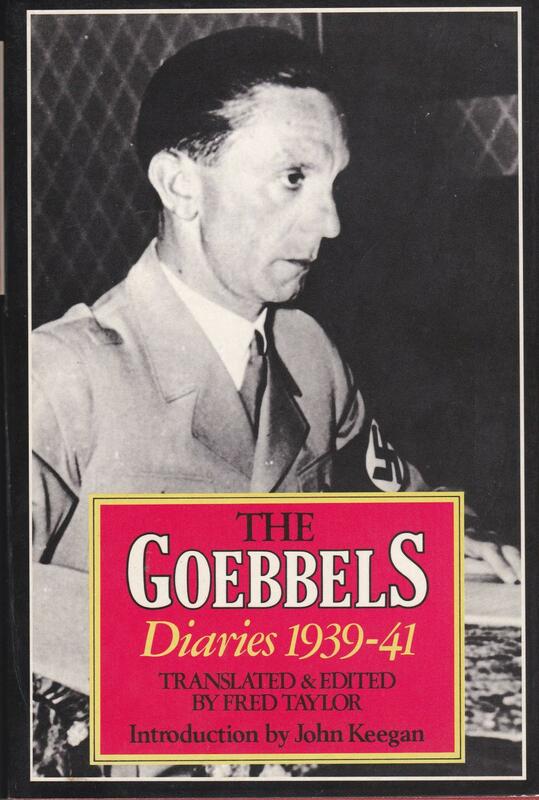 A comparison between Josef Goebbels’ intentions, as shown by some of his diary entries, and George Orwell’s extrapolation of wartime propaganda through newsreels, looking at the atrocities in Orwell’s fictional account with the actual events described by Goebbels. For nearly half a century, from the 1920s to the 1970s, much of the world got its news – in visual form at least – from the weekly or twice-weekly newsreels shown as part of the programme in every cinema. Typically viewers saw an A-picture, a supporting often shorter B-picture, a cartoon and the newsreel. This was true nearly everywhere – the newsreel companies made their films for their home country, though they were often part of international conglomerates. In turn, the international news agencies would supply the film of foreign events. As there were fewer film companies, and only a few distribution and cinema chains, compared to newspaper outlets, the content of the newsreels could be more easily controlled. As the newsreels appeared only twice a week at most more work could be done on shaping their presentation of the world than in newspapers which were typically produced daily, and sometimes in several editions in a day. In the totalitarian countries much attention was given to this “shaping” – the newsreel shown in every German cinema under Nazi control brought this to a peak, and in the Diaries of Nazi Propaganda Minister Josef Goebbels work on the newsreel is mentioned repeatedly. The full diary entry is much longer, about 330 words. It is clear immediately that Winston Smith, the diarist, has been corrupted as he thinks a film of murder is a “very good one”; part of him remains an observer as he does not mention being one of the party members who applauded the death of a child; and finally one wonders about his mental state as his account fades into an ungrammatical description of a disturbance in the audience. The narrator immediately after quoting the diary (or journal) entry describes it as “this stream of rubbish”, but it is not clear if “rubbish” is the nameless narrator’s opinion or Winston’s. It may be that this newsreel was the worst ever that Winston had seen and that it was this that provoked him into finally making his first entry, leading him quickly go on to write “Down with Big Brother”, but this could be typical viewing for any cinema-goer in Airstrip One. Ultimately, though, one must say that such a film is designed to corrupt the viewer and make him or her a participant in atrocity, even if by proxy. Check the newsreel. Magnificent shots of the attack on English convoys. Then check films. Newsreel: this time magnificent. Glorious film of bombed-out English ships. Read through foreign magazines dealing with the war, particularly French and English publications. Excellently done. Pictures of the Russian catastrophe in Finland. It beggars all description. A U-boat brings home a rich booty. 38,000 tons sunk. While references to the newsreel remain constant, and one finds sentences such as “A whole series of very impressive sinkings. A convoy sent to the bottom of the sea” (25th February 1941) and “Luftwaffe sank 58,000 tons the day before yesterday. 32,000 yesterday. This is delightful news” (1st March 1941), repeating the superlatives of destruction, they are in other parts of Goebbels’ entries, not in the newsreel descriptions. Perhaps he had too many other subjects to include that he did not need to concentrate on the specifics of death in the newsreels. The reports from Coventry are horrendous. An entire city literally wiped out. The English are no longer pretending; all they can do now is wail. Coventry was treated to another load. It is now no more than a heap of ruins. This affair has aroused the greatest attention all over the world. Our stock is on the rise again. By “stock rising” Goebbels was not referring to an increase in share values on the Bourse – this was psychological stock, and its benefits, he would have thought, to be a weakening of morale and loss of production in Britain, and the likelihood of an early Nazi victory increased. In Goebbels’ mind there was almost no difference between death in reality and its exploitation in news film. Only a few years after Goebbels had had his work brought to an involuntary end, George Orwell realised that there were many who would take such methods and enhance them, and take Goebbels’ intention and worsen it. Goebbels wanted his viewers to be strengthened in their fight for Nazi conquest of Europe, which he imagined would come one day. Looking at totalitarianism Orwell realised that there were those who would plan to never end the war; for their purposes it were better that deaths and sinkings, and the portrayal of such, went on forever. And, what did we get in the Falklands? “Gotcha!” in the press, and “Rejoice!” from Margaret Thatcher.